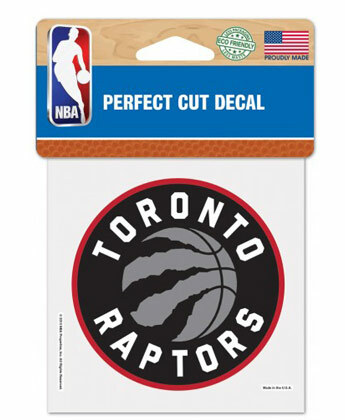 #NBACLCPC4TOR This terrific official logo decal is perfect for windows or windshields. Die cut decals stick to multiple surfaces and are removable and reusable. Sticks easily to windows, metal surfaces and painted surfaces, including most walls. These versatile decals can be used indoors or outdoors and will not leave a residue when removed. Terrific size. Measures 4â€쳌 wide. Crisp graphics. Innovative printing techniques give these decals a sharp look. Perfect for the kids room or dorm. Great for the car, office, fridge, or garage. Official team logo. Officially licensed by the league and the team. A terrific gift idea.